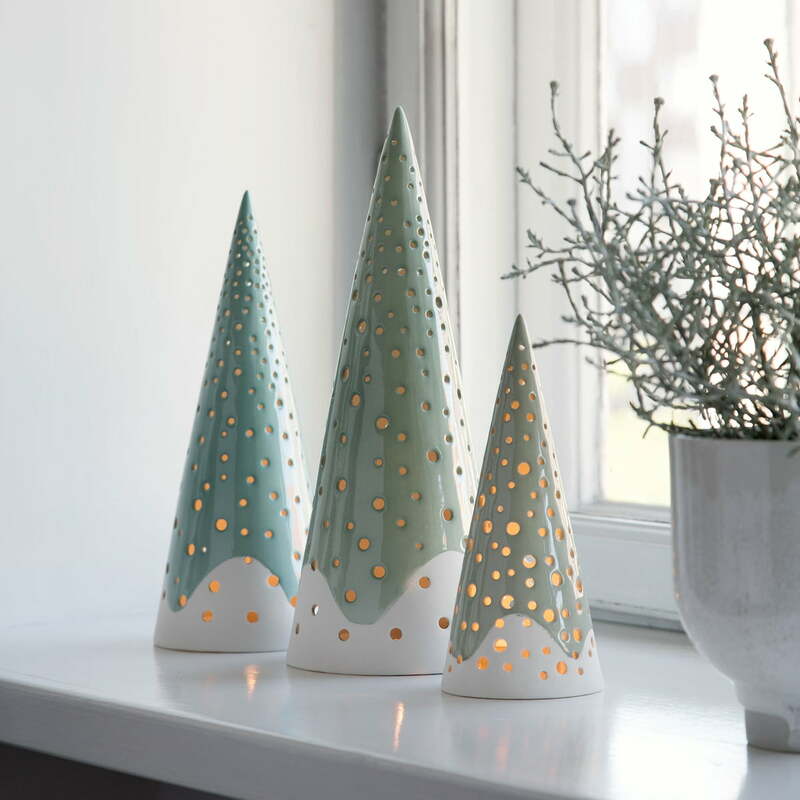 Traditionally all ceramics by Kähler are made by hand since 1839. Each individual design is a tribute to the history of Kähler and is a appreciation of the traditional craft. 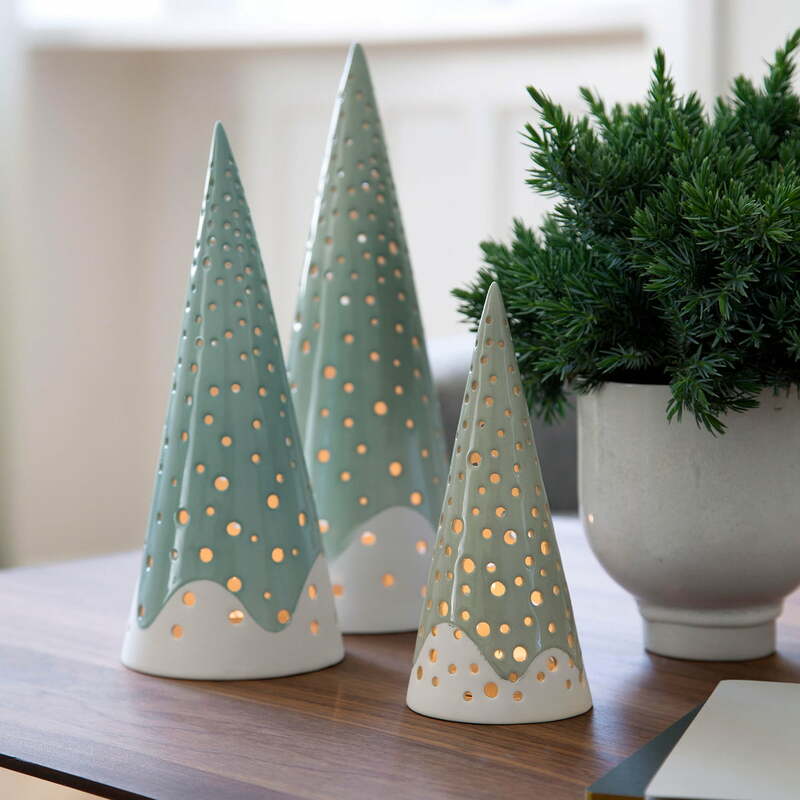 Get an insight into the Kähler workshops in this video. 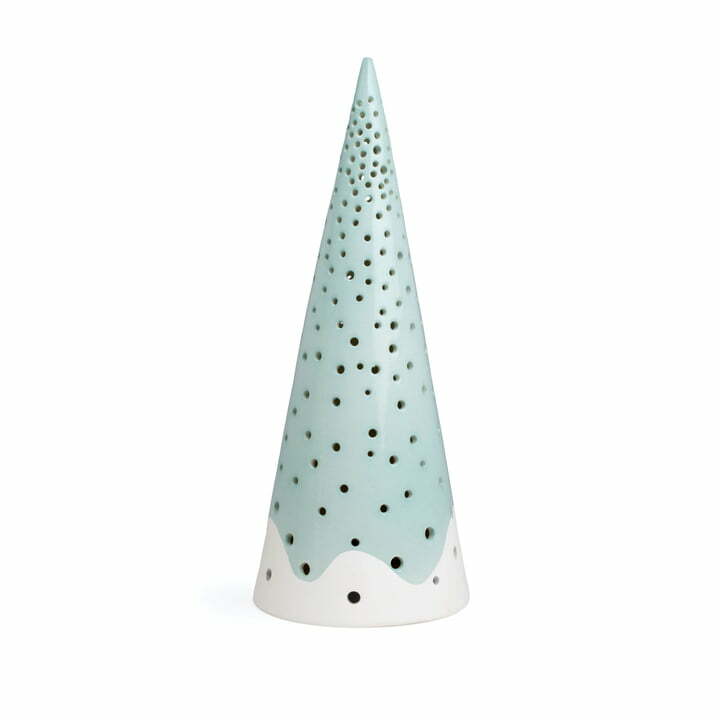 Individual product image of the Nobili tea light holder cone Ø 24.5 cm by Kähler design in ice blue. The tea light holder is made of ceramic and enamel finish. 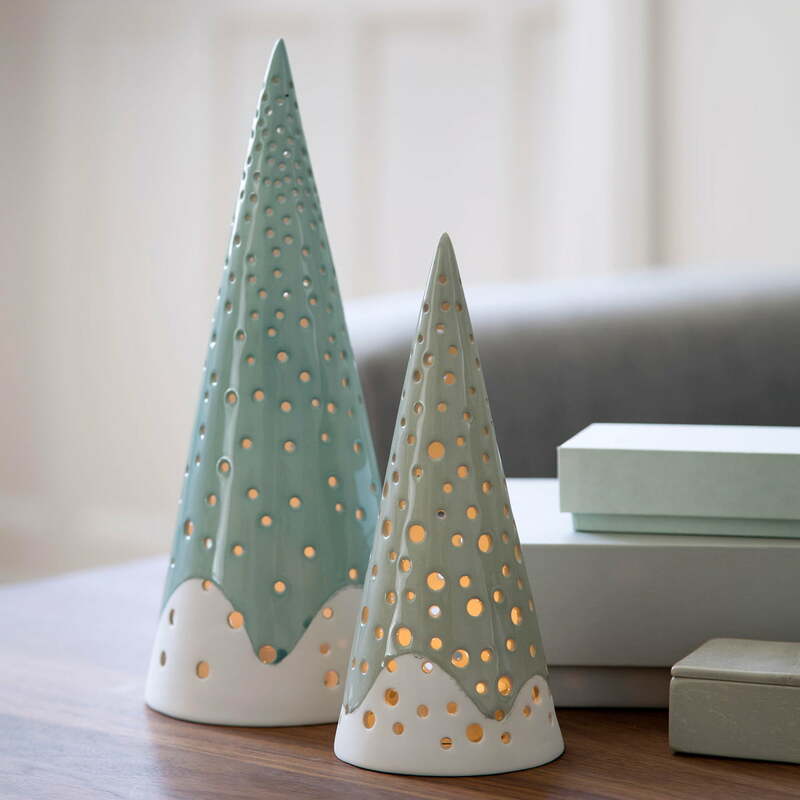 The enamel on the candleholder forms a contrast with the unglazed surface. The nature of the untreated ceramic is always clear and contributes to the exclusive look. 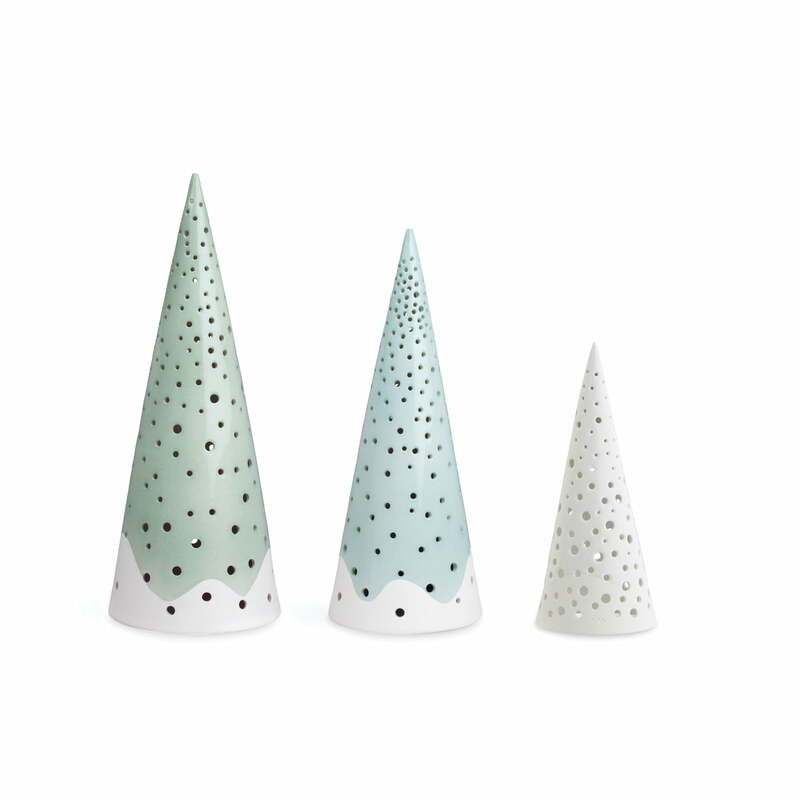 The shapely ceramic tea light holders from the Nobili series by Kähler Design are reminiscent of the deep fir forests in Scandinavia with their clear cone shape. 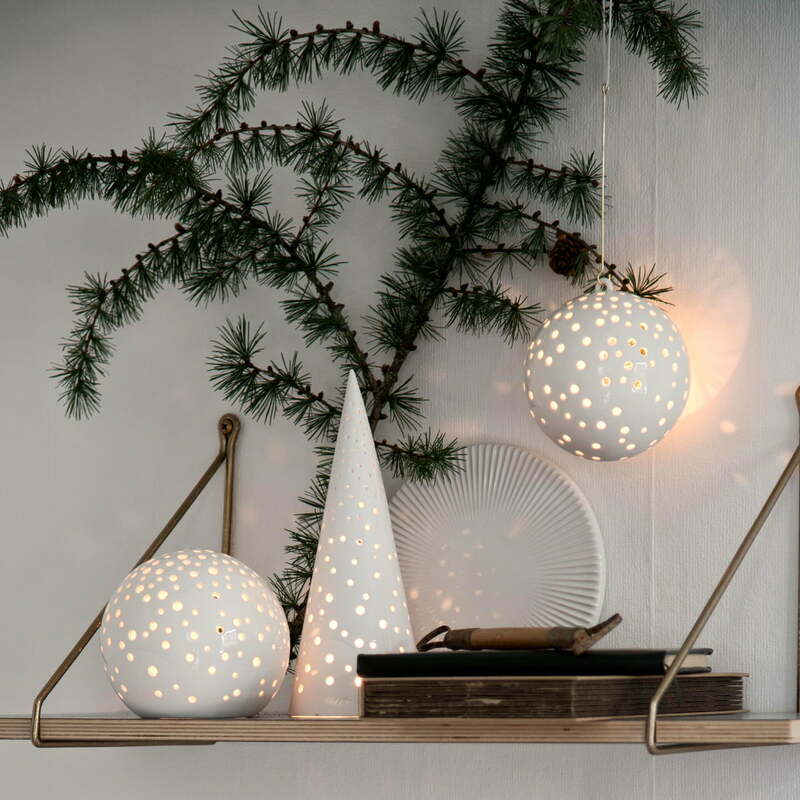 In addition to the conical and ball-shaped tea light holders by Kähler Design for standing on the table, the round tea light holder is also available as a hanging window ornament. 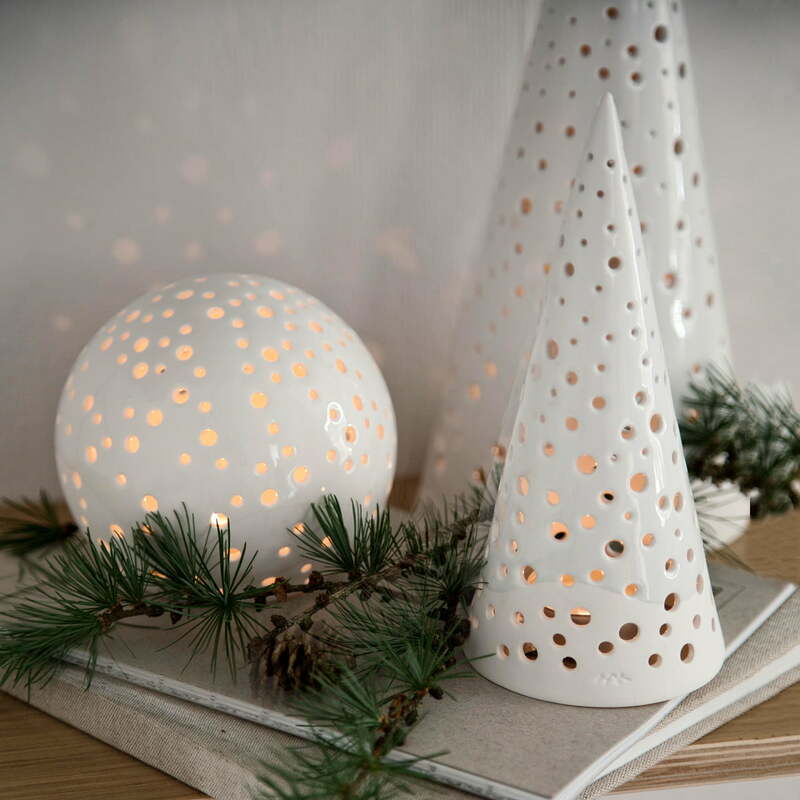 If the light in the Nobili tea light holder cone by Kähler Design is burning, the small dots light up and resemble a Christmas tree with candles on every branch.